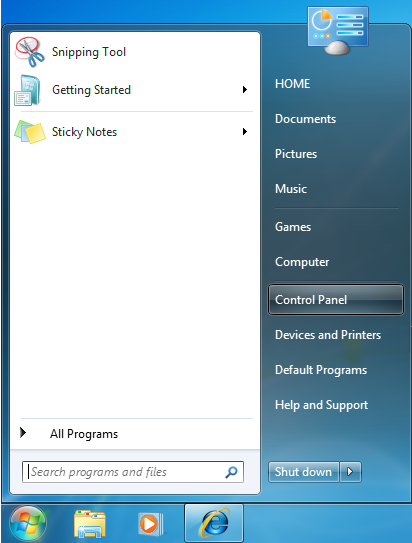 Step 1 - Open User Accounts by clicking the Start button , and then click Control Panel. 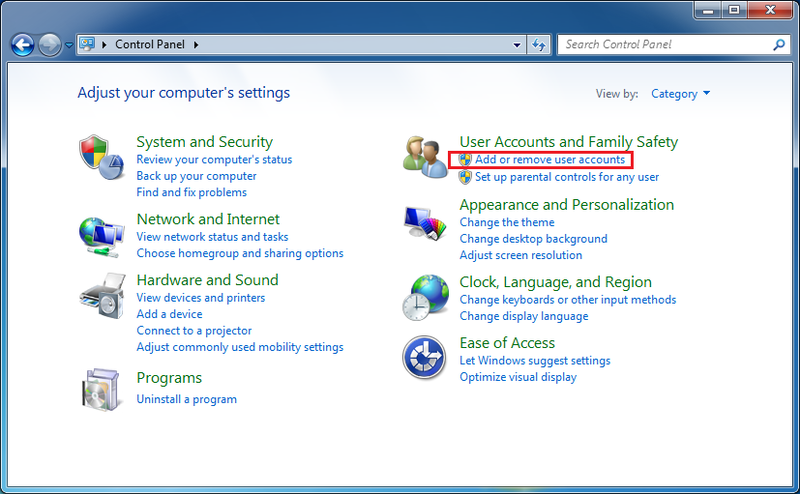 Step 3 - Choose the account that you would like to create a password for, this is done by clicking on the user account name. 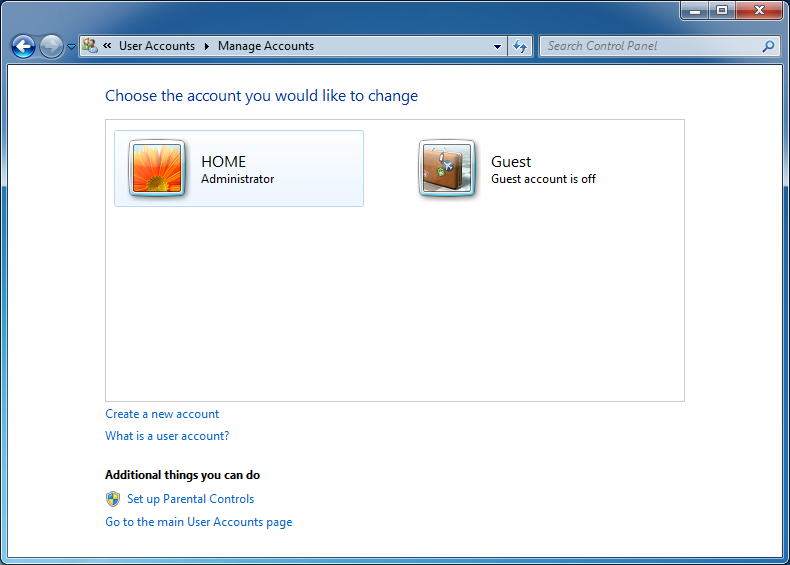 Step 5 - Type the password you want to set for this user account. 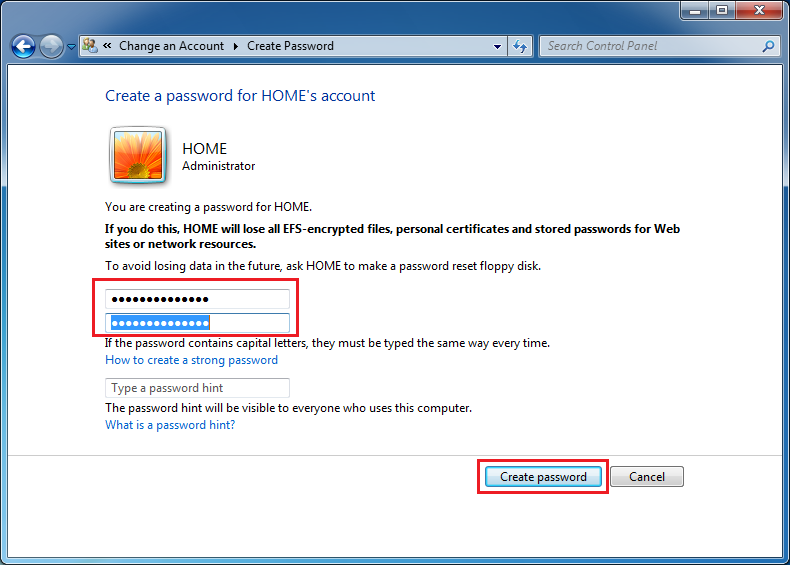 Step 6 - After you type your password and confirm it again, click on Create password button. 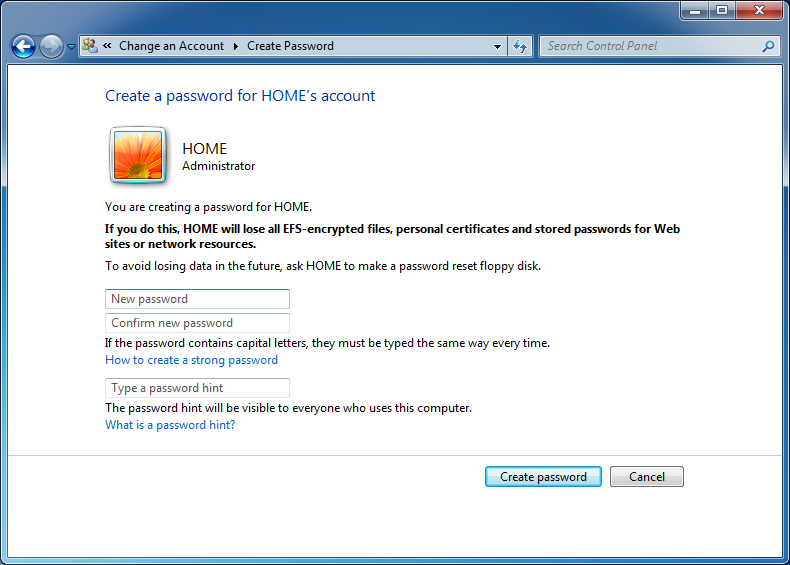 If you are a person who usually forgets his passwords, then its better to type a password hint, so that when you forget your password, from reading the hint, it will give you an idea what your password is, but remember, password hint is visible to everyone who uses the computer, so make sure that your hint is not understood by someone else, choose your own hints. 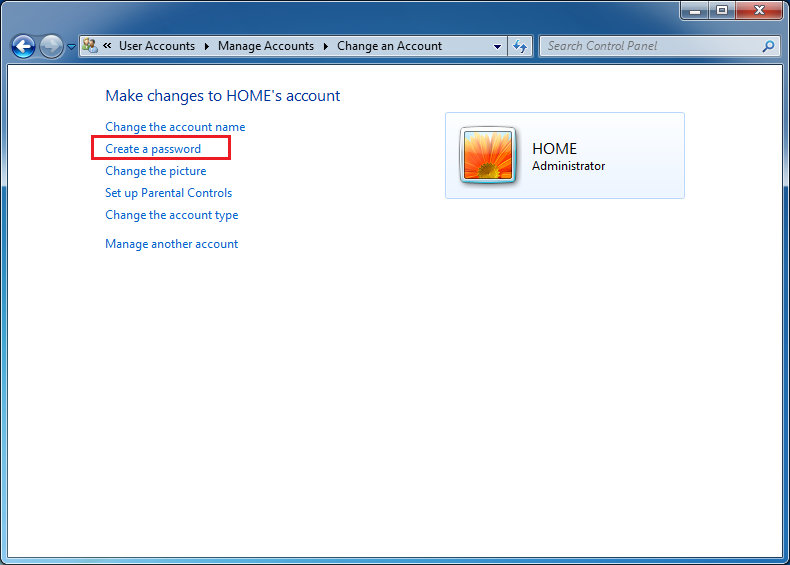 Step 7 - After you click on the Create password button, the password will be created and the Change an Account page will open again, you will notice now that the Create a password option is now replace with Change the password and Remove the password. Your user account is now protected with a password, so you can safely lock your user account or even log off, and you will be confident now that no one will be able to log on to your user account, unless of course you provided him/her with your own password.